The triple channel Bus Powered Digital Output Isolator, D5240T, is suitable for driving solenoid valves, visual or audible alarms to alert a plant operator, or other process control devices in Hazardous Area from driving signals in Safe Area. It can also be used as a controllable supply to power measuring or process control equipment. 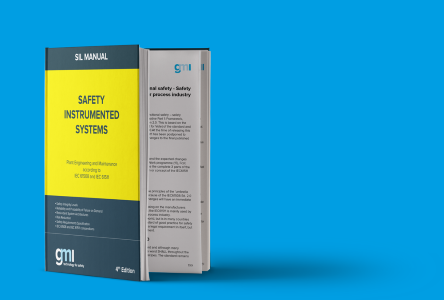 Its use is allowed in applications requiring up to SIL 2 level (according to IEC 61508) in safety related systems for high risk industries. Configuration is programmable from PC by the GM Pocket Portable Adapter PPC5092 via USB serial line and SWC5090 Configurator software. The Safety PLC or DCS driving signals control the field devices through D5240T, which provides isolation. Three basic output circuits are selectable, with different safety parameters, to interface the majority of devices on the market. The selection among the three output characteristics is obtained by connecting the field device to different terminals. • SIL 2 according to IEC 61508. • Output short circuit proof and current limitation.